North Korea has so far not commented on the document's findings. 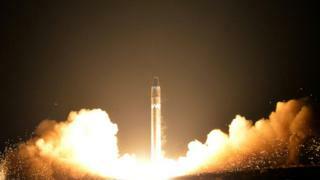 Last week, US officials said Pyongyang appeared to be building new ballistic missiles despite recent warming ties with US President Donald Trump's administration and pledges to denuclearise. President Trump met North Korea's Kim Jong-un in Singapore in June, and the two leaders then pledged to work towards denuclearisation, without specifying exactly what this would look like. Trump-Kim summit: Why did they meet? Pyongyang is currently under a range of international and US sanctions over its nuclear programme and missile tests. The document was prepared by the experts monitoring the implementation of the UN sanctions against North Korea. It was seen by several media outlets early on Saturday. The report said: "[North Korea] has not stopped its nuclear and missile programmes and continued to defy Security Council resolutions through a massive increase in illicit ship-to-ship transfers of petroleum products, as well as through transfers of coal at sea during 2018." The experts concluded that North Korea's activities had made financial sanctions ineffective. 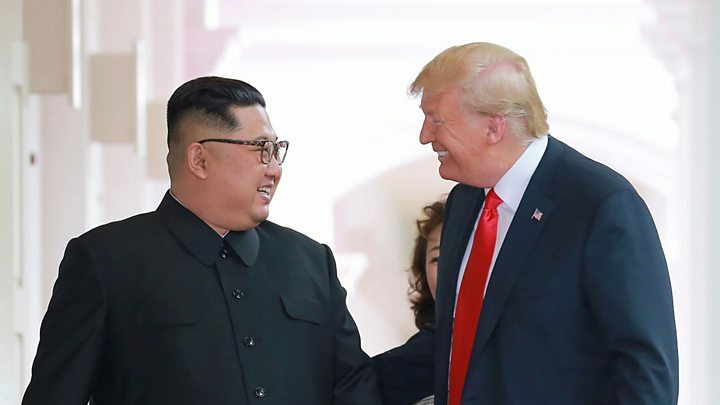 The report came as US Secretary of State Mike Pompeo said he was "optimistic" that North Korean denuclearisation could be achieved. Speaking ahead of a summit of the Association of South East Asian Nations (Asean) in Singapore, he said: "The work has begun. The process of achieving denuclearisation of the [Korean] peninsula is one that I think we have all known would take some time." He stressed that it was important to maintain "diplomatic and economic pressure" on North Korea to achieve "the final, fully verified denuclearisation". He also said he had seen reports that Russia was issuing permits allowing North Koreans to work on its territory, defying the sanctions. "I want to remind every nation that has supported these resolutions that this is a serious issue and something that we will discuss with Moscow. "We expect the Russians and all countries to abide by the UN Security Council resolutions and enforce sanctions on North Korea," Mr Pompeo said. Russia has denied a report by the Wall Street Journal that it was letting thousands new North Korean labourers into the country. Trump Kim summit: Who are North Korea's running bodyguards?